Werwolf (Werewolf), a band from Olpe in the Sauerland in Germany, was formed in 1970 by Peter Besting (born 2/4/1951 in Olpe) on drums and vocals, Hartwig Kugoth on guitar and Peter Lorenz on bass. Before, Peter Besting had already been playing for a year in the band Age. The band name had no deeper meaning but was simply a reference to Steppenwolf whose recordings the original member of Werwolf appreciated a lot. They bought their first large PA equipment form the Scorpions' mastermind Rudolf Schenker in the early seventies. After rehearsing in a self-built and soundproof wooden hut with freezing temperatures during the winter, Werwolf changed their rehearsal room into Peter Besting's newly built house in Wenden in 1972. In the course of time other musicians joined the band: Jürgen Göckler from Olpe on keyboards and as background singer, Michael Schlimm from Olpe on saxophone and on cross flute and singer Ellen Wiederstein from Attendorn. When Peter Lorenz quit, Hartwig Kugoth played double-neck guitar combining bass strings. Similar to the Doors, Jürgen Göckler played the bass accompaniment on the keyboard whenever Hartwig Kugoth played the high notes. 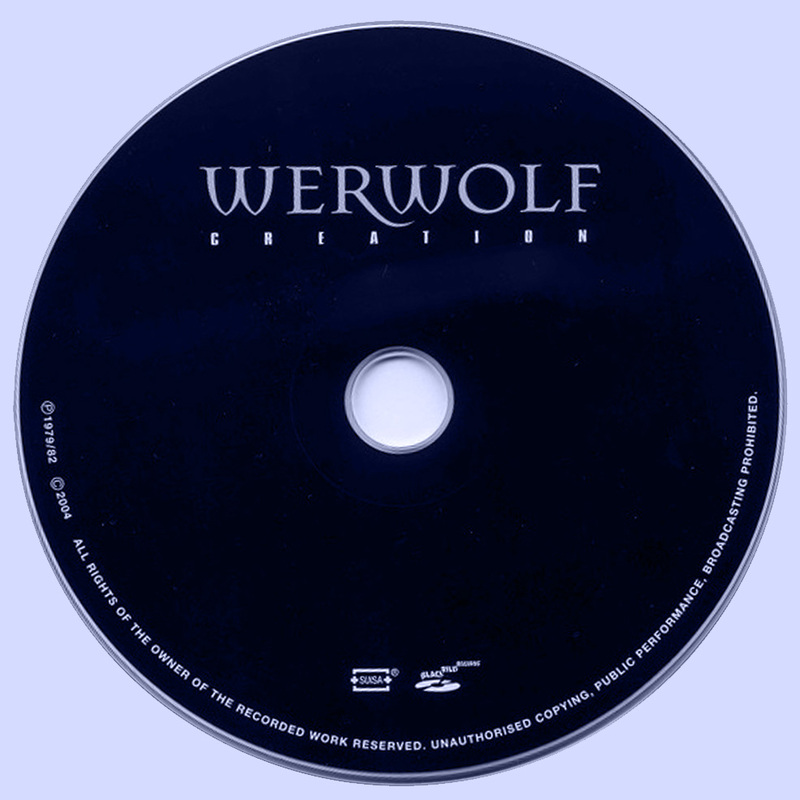 With this line-up, Werwolf recorded a thirty minute demo tape in the Studio Eden in Lüdenscheid in May 1979 in order to gain a record deal, but without success. After several changes of the line-up, Werwolf independently released the album 'Creation' in 1982 in a limited edition of 1000 copies with Peter Besting on drums, Gerd Heuel on Guitar, Burkhard Huckestein on bass, Wolfgang Unthan on keyboards, Gitta Löwenstein as singer and Jürgen Göckler as occasional guest keyboarder. WDR and SWF presented the album which is a collectors items worth more than US$ 50 now. This edition now contains the complete record 'Creation' of 1982 as well as all three tracks of the demo tape recorded in 1979. 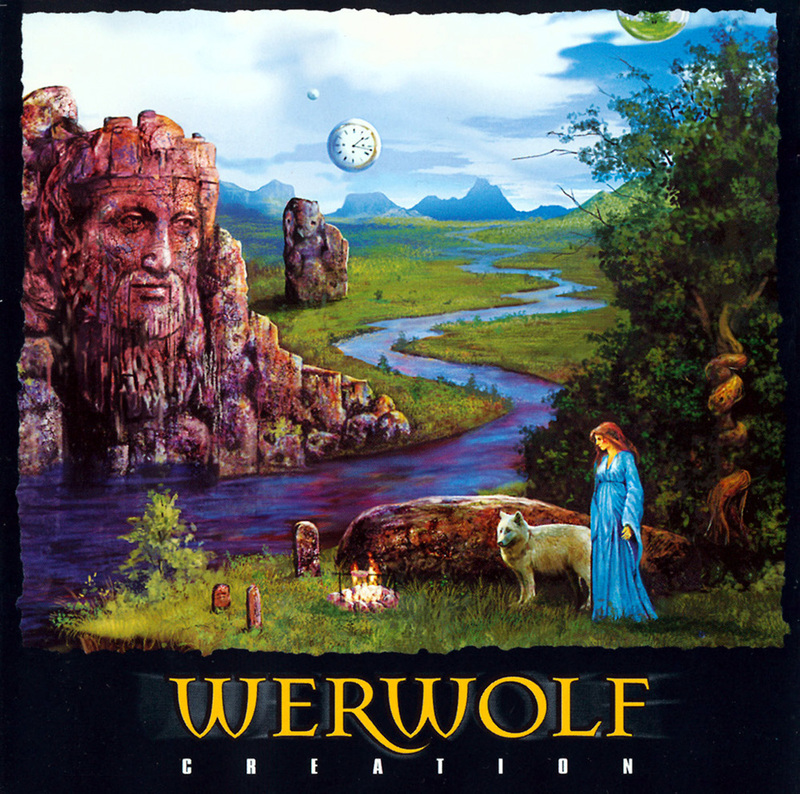 The cover art is the American version painted in 1992 by Lee Gaskins. He renewed some details for us. The mastering was done by Bob Katz in Florida.